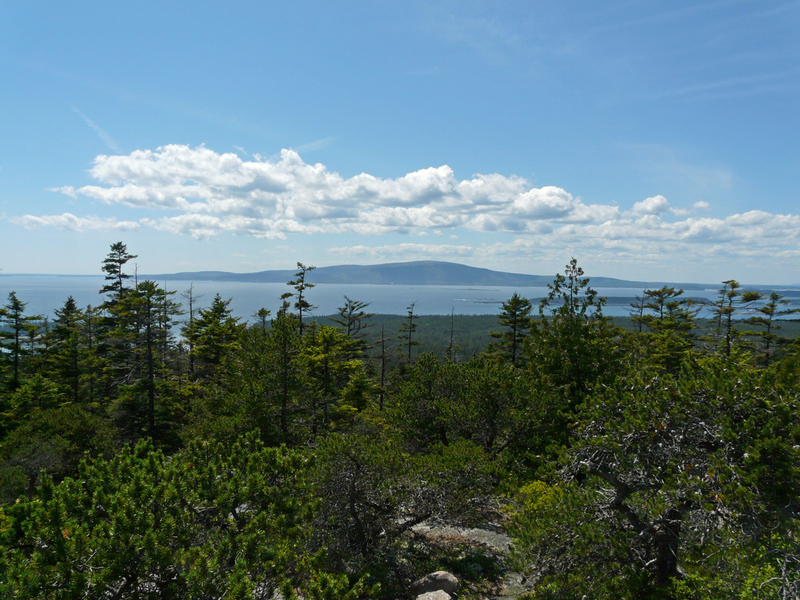 I spent just over a week along the coast of Maine, visiting sites between Ellsworth and Cutler. 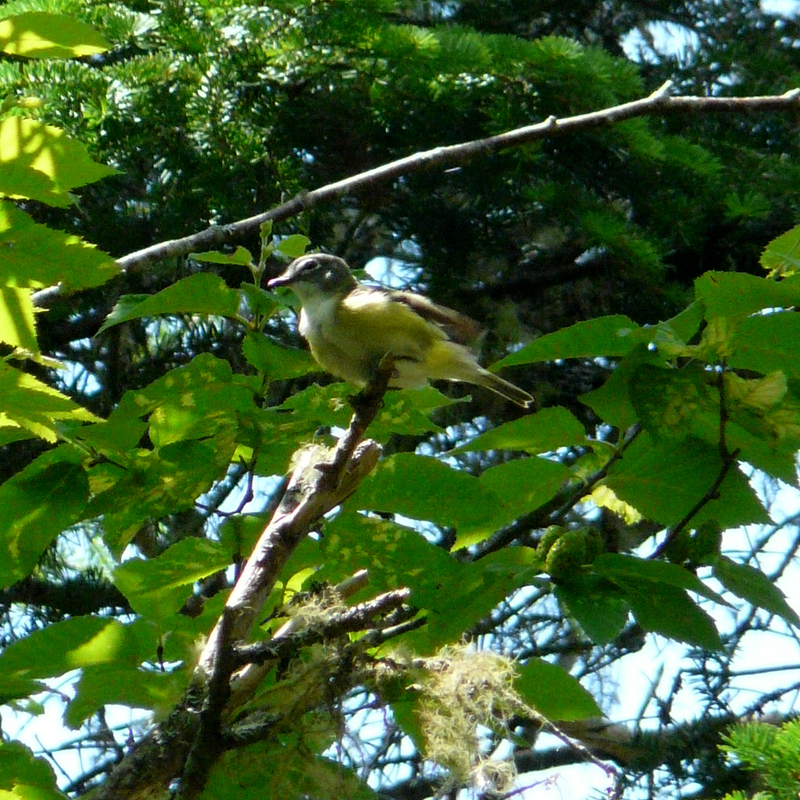 It is always fun to get reacquainted with eastern bird species and to hike in the boreal forest. 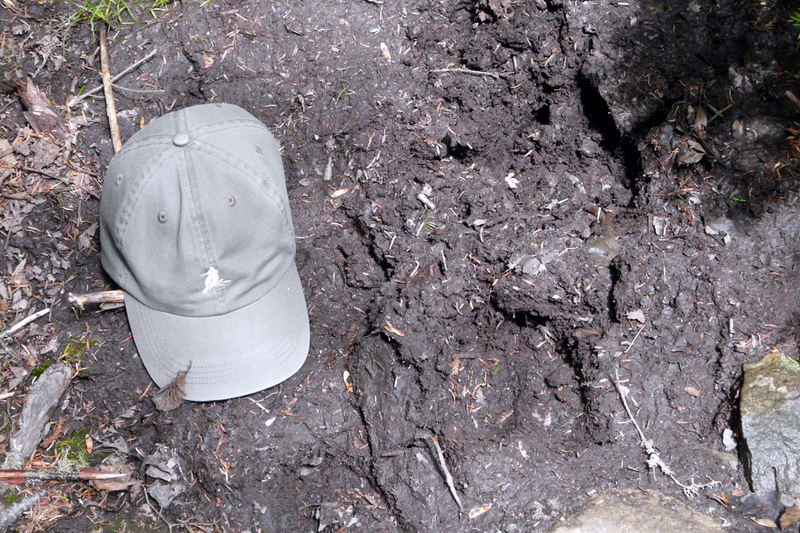 I saw 14 species of warblers on this trip. 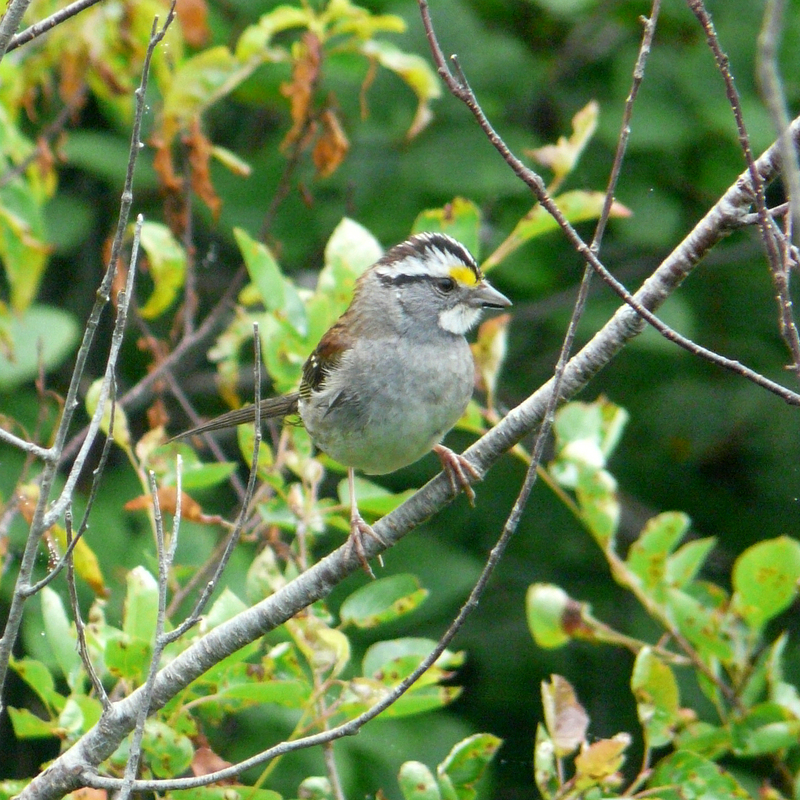 The vast majority of birds I saw were male, presumably because the females were on nests. 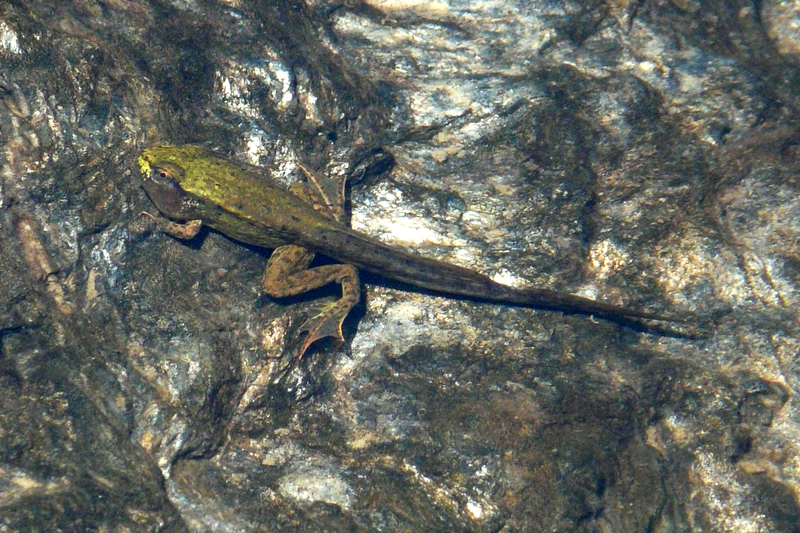 Their small size, active habits, and dense habitat take them beyond the realm of point-and-shoot photography, but I managed to capture useuable images of two species. 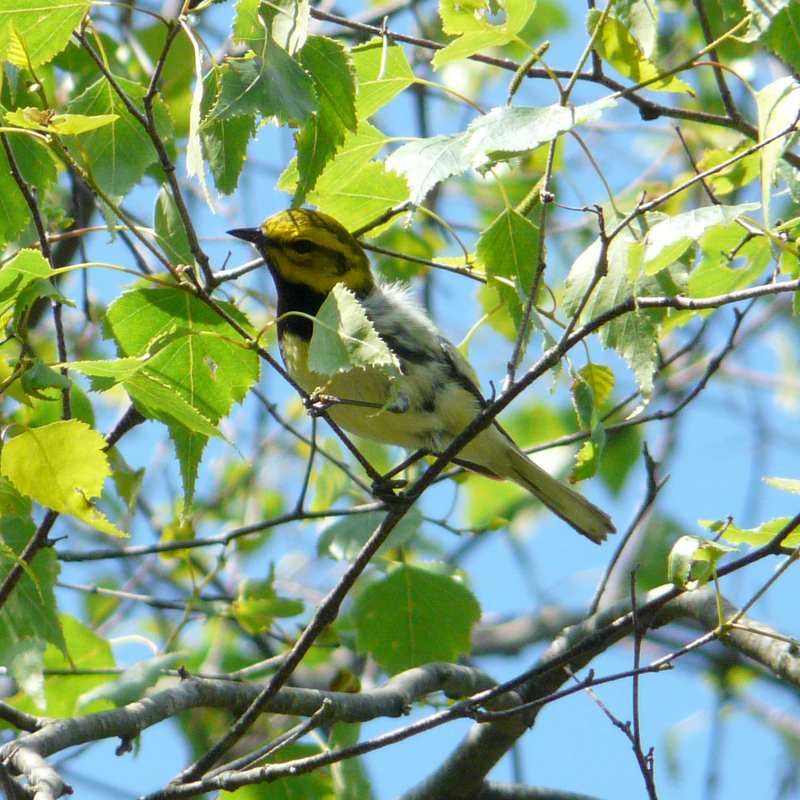 Black-throated Green Warblers were by far the most common species. 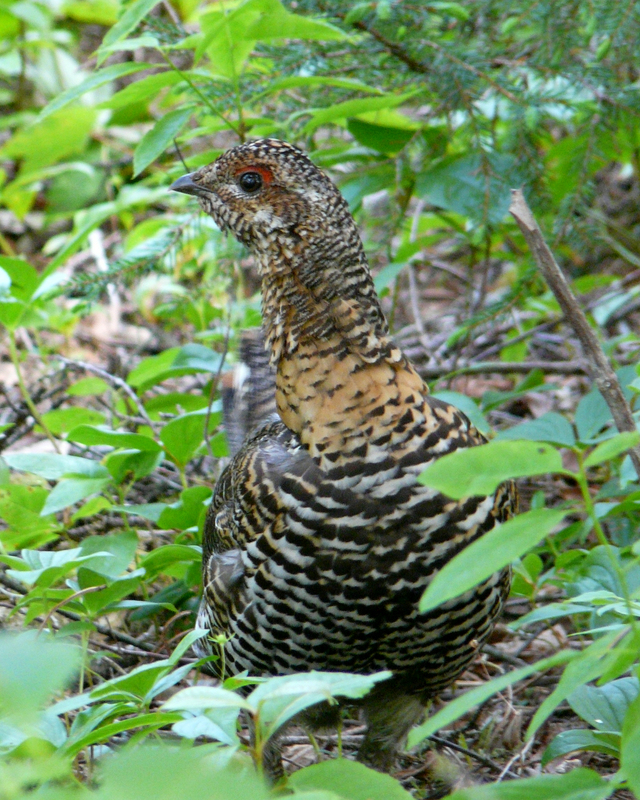 This Spruce Grouse was at Petit Manan NWR. She had several downy chicks with her. 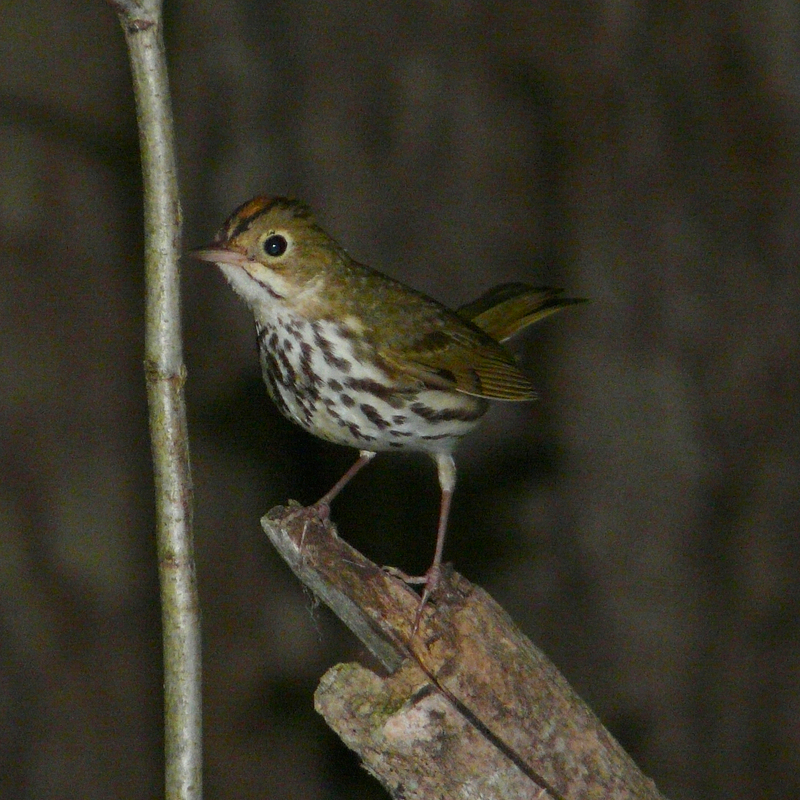 The chicks are actually capable of flight, and flew into dense cover when startled. 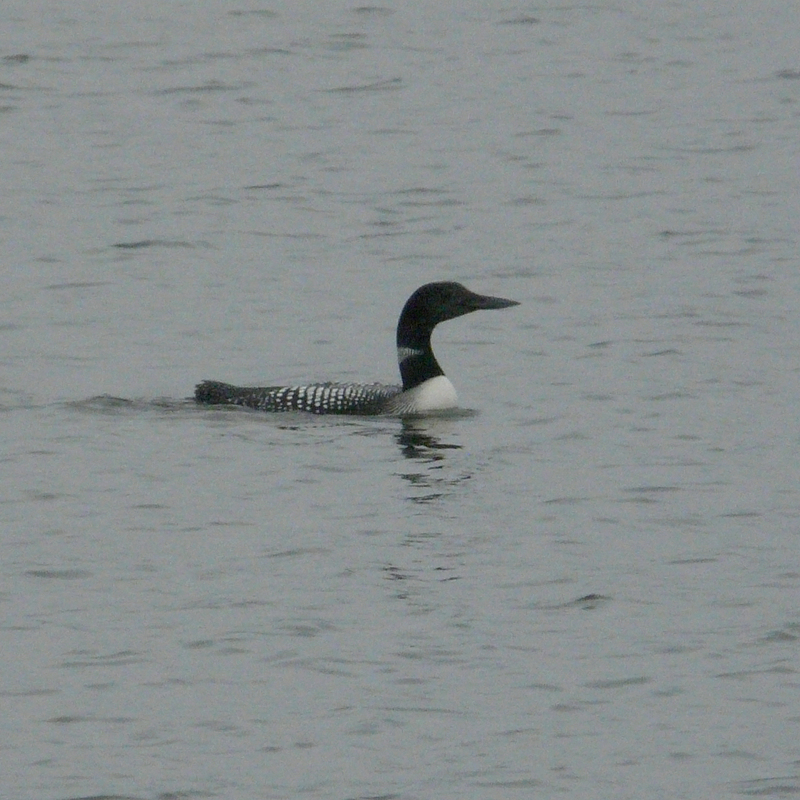 The adult remained on foot, keeping an eye on me and making contact calls to keep her brood together. 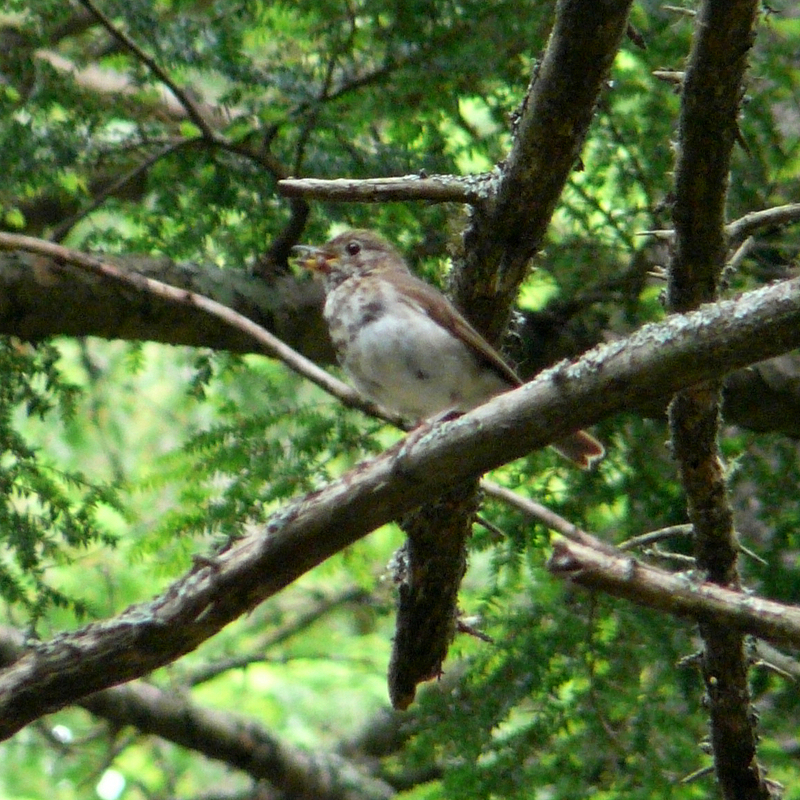 Hermit Thrush, calling with a bill full of food for nestlings. 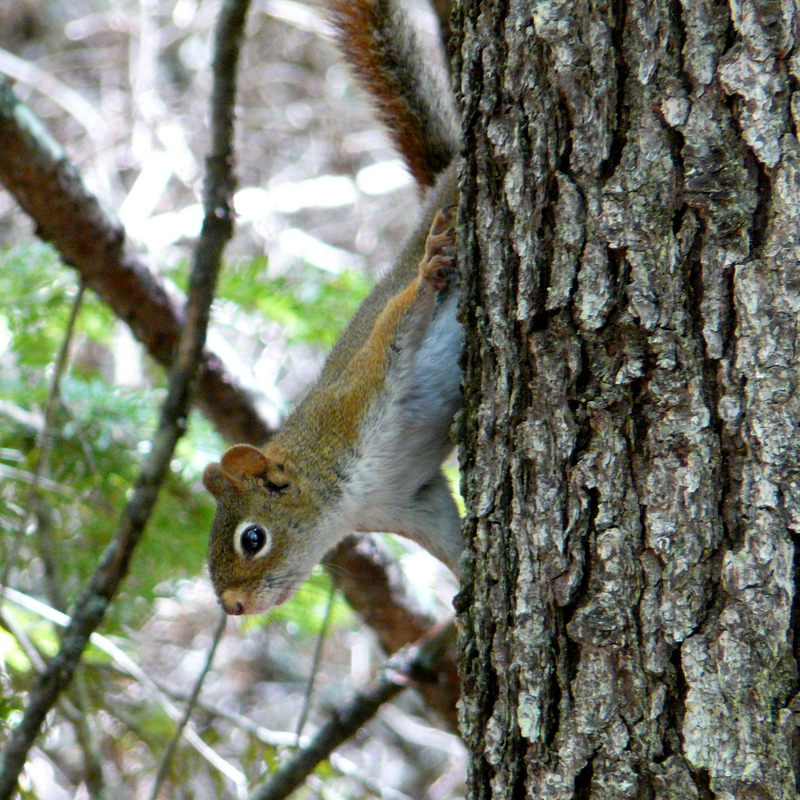 Red Squirrels were common and noisy in wooded areas. 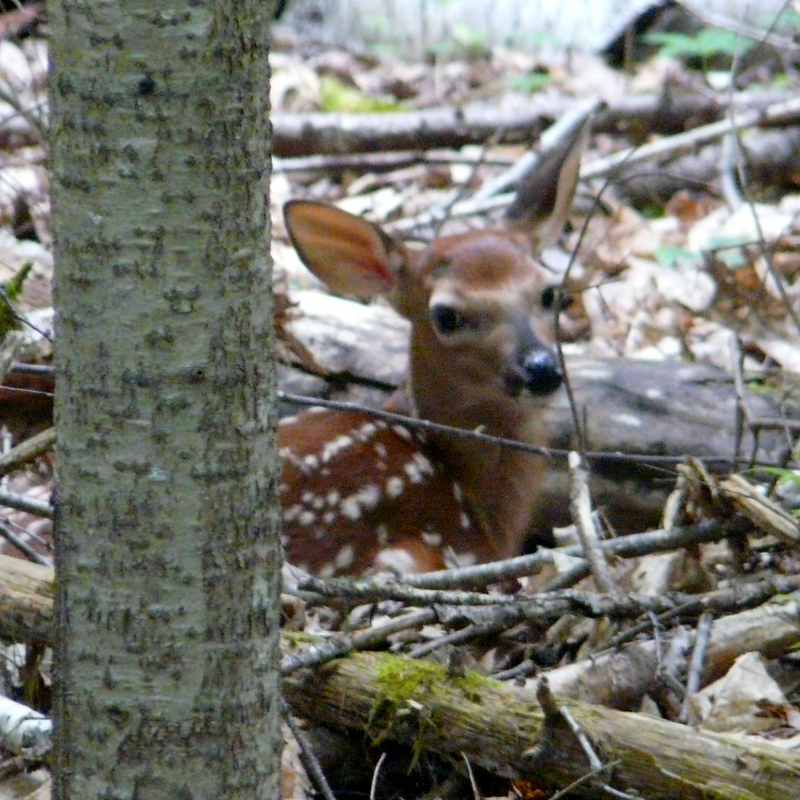 This White-tailed Deer fawn was well-hidden in the woods. I only located her because she got up to take a stretch just as I was looking in that direction. 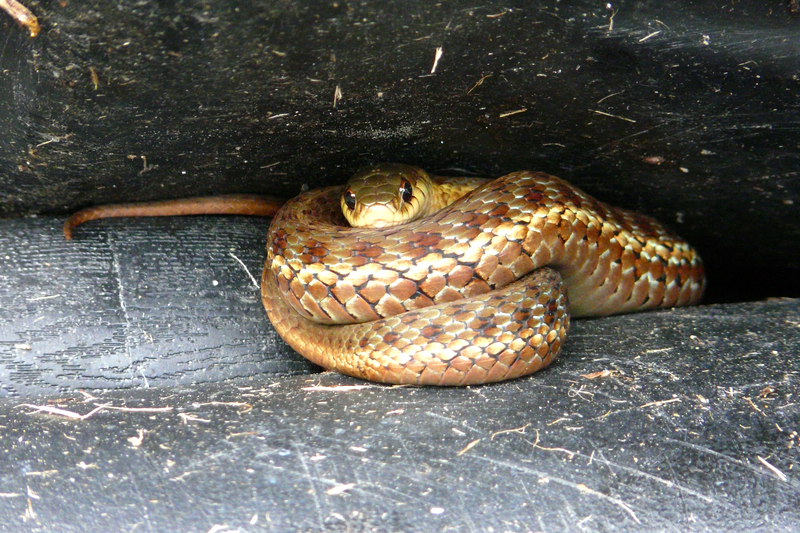 This Eastern Garter spent much of the day basking beneath a compost bin. 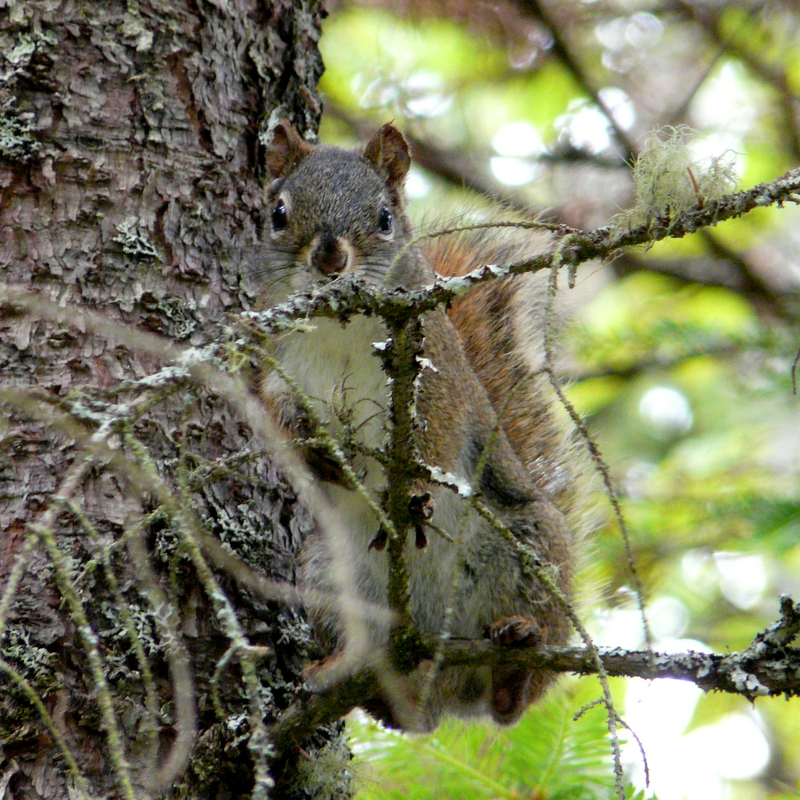 This entry was posted in beyond OR, mammals, reptiles & amphibians and tagged Black-throated Green Warbler, Blue-headed Vireo, Common Loon, Eastern Garter Snake, Hermit Thrush, Ovenbird, Red Squirrel, Spruce Grouse, White-tailed Deer, White-throated Sparrow. Bookmark the permalink.